The UFiber Nano G is a robust, high-performance GPON CPE that features an informational LED display and a sleek, sophisticated industrial design. 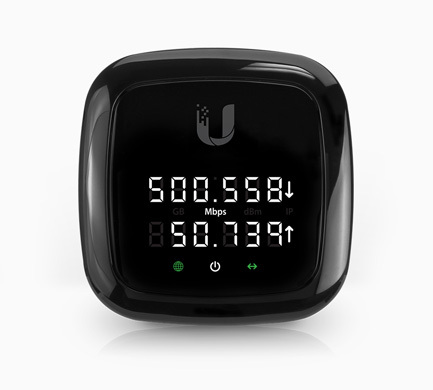 Ubiquiti Networks U Fiber Nano G is a robust, high-performance GPON CPE that features a useful LED display and sleek, sophisticated industrial design. Fiber OLT, but works with some third-party OLT devices. The UF-Nano is powered by 24V passive PoE, a single cable to carry both power and data. with the UFiber OLT and third-party OLT devices. The easy-to-read display provides status information: IP address, signal strength, and current throughput. 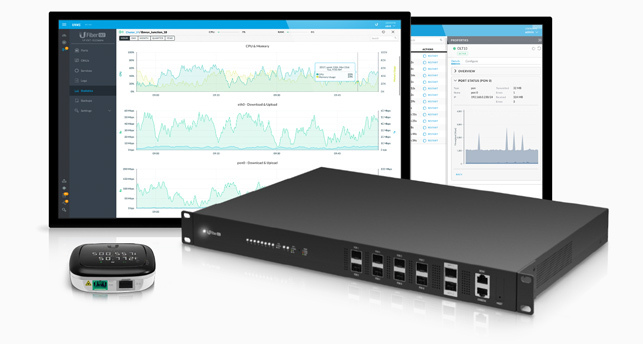 The Nano G is powered by 24V passive PoE – a single cable to carry both power and data. 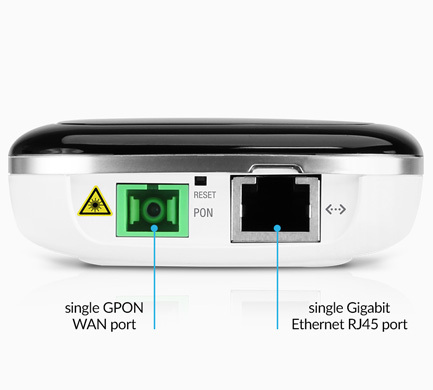 Up to 128 Nano G devices can be connected to a single GPON port. Supporting GPON links of up to 20 km, the Nano G integrates with the UFiber OLT.